Trophy hunting is unbearably cruel. 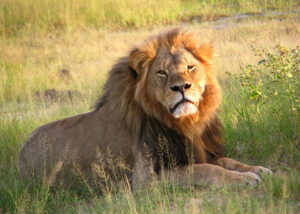 Please help to pass a permanent ban on importing ALL big game trophies to the United States. Trophy hunting is the selective hunting of wild game for human recreation. The trophy is the animal or part of the animal kept, and usually displayed, to represent the success of the hunt. The primary game sought is usually the oldest and most mature animal from a given population. ← Zohara Hieronimus on Whitley Strieber’s Dreamland exploring the magic, power and meaning of the White Buffalo, the White Bear and more.